The Karen Hilburn Cancer Fund, is a Chapter of MGH Foundation, and its funding is available to Mason County residents who are uninsured or underinsured for cancer treatment and are receiving their treatment at Mason General Hospital & Family of Clinics. If you would like to apply, please call Patient Navigator at (360) 432-7706. You may also contact the Fund directly at (360) 462-FUND (3863). A gift to the Karen Hilburn Cancer Fund will go toward funding cancer diagnoses treatment. This much-needed fund helps with the expenses of cancer treatment for those who have no other financial options. Karen Hilburn helps start the race as riders prepare for the Karen Hilburn Cancer Fund’s annual ‘Tour de Mason Lake’ bicycle ride held in June of each year. The course is a scenic 20, 32, or 44-mile circuit around Mason Lake with medium and rolling hills. Proceeds go to the Karen Hilburn Cancer Fund (KHCF) to help uninsured or underinsured mason county residents with expenses for the treatment and diagnoses of specific cancers. Event sponsors included: El Puerto de Angeles #5, Heritage Bank - Shelton, Hood Canal Communications, Inc., Olympic Mountain Ice Cream, and Wittenberg, CPA. 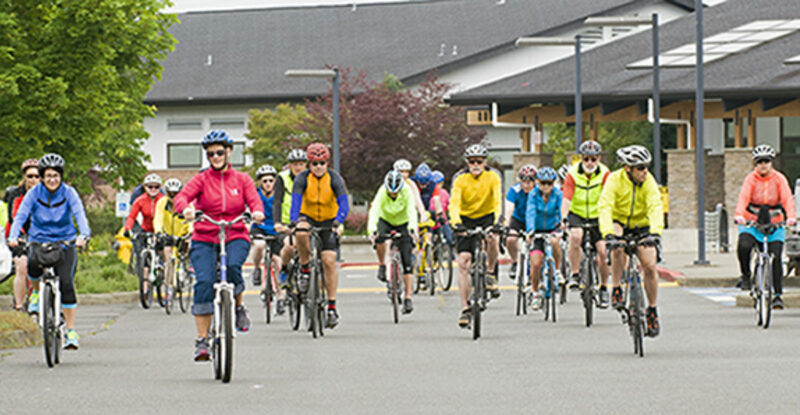 Tour de Mason Lake is held the second Saturday in June. The Karen Hilburn Cancer Fund, a chapter of Mason General Hospital Foundation, was presented – for the sixth year in a row – with a check for $35,000 from the Charitable Trust of Margery Jones, a former Shelton resident and cancer survivor. Miss Jones left her estate to be donated to charitable non-profits. This is the sixth consecutive year the Hilburn Fund has been a major recipient. “We are so grateful for their continued support of our Fund,” said Fund Founder Karen Hilburn. “This donation helps Mason County residents that are underinsured or uninsured with their diagnoses and treatment of specific cancers." Pictured (below) with Mrs. Hilburn is Miss Jones’ niece, Betty Temple, who has made the donation every year in her aunt's memory. Karen Hilburn Cancer Fund has expanded its service area to include more services to Mason County residents who are uninsured, underinsured or without any other financial options. In addition to supporting Breast and Cervical cancer, they have added Ovarian, Uterine and Endometrial cancers, along with Gardasil Vaccinations to prevent the HPV Virus. The addition of these treatments will help enhance the quality of health care to patients of Mason County. The Karen Hilburn Cancer Fund is available to Mason County residents who are uninsured or underinsured for cancer treatment and are receiving their treatment at Mason General Hospital & Family of Clinics. If you would like to apply, please see application at bottom of this page, or call the MGH&FC Care Coordination Services Department at (360) 432-7706. You may also contact the Fund directly at (360) 462-FUND (3863). Any gifts to the KHCF will go toward funding cancer diagnoses and treatments. 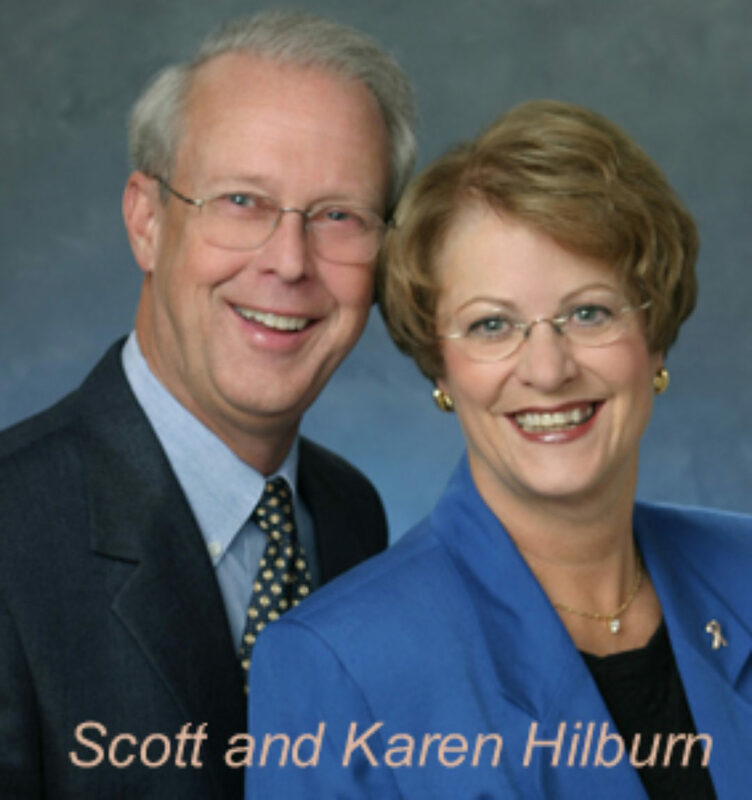 To learn more about how the Karen Hilburn Fund is supporting the community, please click HERE. You can also visit the MGH&FC's home page and look for Events.